How Long Until You Make Money Blogging With Affiliate Marketing? Erica Stone’s Buried Treasure Review – A Treasure Map? 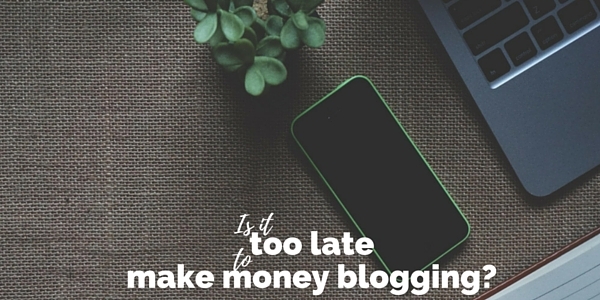 Is It Too Late To Make Money From Blogging? When you get started online it is easy to get discouraged when things don’t go as planned or even before you get started when you see all the competition. There is hope that drives you on that you can make money online but there can be a nagging doubt that it’s too late as the people that got in at start have made all the money or there is now no room for a beginner to make a good living online. There is no doubt things have changed and will continue to change online as to what is needed to make money online. You can’t do what many of the people did in the beginning with spam sites and spam emails. Not only did people get sick of those type of things once the “newness” wore off, the search engines and email providers took action to clean that up. Some people still try that method and I guess some must make it. But there are other ways to make money online still and I think better and easier ways too. There are plenty of options to make money online and there are new ways of generating an income being developed – e.g. writing books for Kindle or creating products for Zazzle. They didn’t exist a few years ago. My preferred way to make money has been with affiliate marketing and in particular with Amazon review sites. But you don’t have to stick with Amazon – there are loads of other shopping sites online that offer affiliate programs and more coming online all the time. You don’t have to stick with physical products – there are digital products too. There is more competition now than there was with these large media sites looking at affiliate marketing as a way of increasing revenue as they struggle with ad revenue. And there are new people starting blogs everyday too. But there is still plenty of room for people who want to put in the time and effort to create a value blog. Like any business or even a successful career it takes time, hard work and perseverance to be a success online. It’s important to have the right mindset where you expect to be a success but also are prepared that it won’t happen overnight, no matter what you might read in a sales letter. The hard work is not like draining ditches hard work but you still need to put in hours of work that can at times be frustrating. There are skills that need to be learned – how to set up a blog, niche research, keyword research, writing quality content, promoting your blog and email marketing. There is more I’m sure but I think those are some of the most important. One other thing to add into the mix is focus. With making money online there is too much distractions with shiny new objects and the like. It’s important to choose a method that you think you can stick with and develop skills in and then stick with it through the disappointments. You can probably do all this on your own. It’s not what I did. I think if you did try that you might find it very tough and it will take you longer. After spending too much time and money it did come down to choosing a course and sticking with it for me to be able to earn money online. I’m not where I want to be. I’m earning $1k plus per month online now. Even with a good course you won’t probably make money quickly – it’s for most people something they need to do in the evening and weekends fitting it around their job. If you’re not making money online now I’d recommend you find a good course that you believe you can make work and then set about making it work for you. The course that I followed to earn a regular $1k income is Erica Stone’s Extreme Review (my review here). This involves researching in depth and writing detailed reviews for physical products. 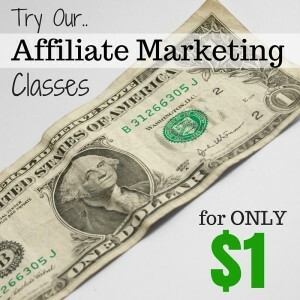 An alternative course that has given me some excellent tips that I’ve been incorporating is the Pajama Affiliates Home Blogging And Affiliate Marketing Course (see my review here). Again it is about writing reviews but not as long but providing quality and value. It also has the advantage that you get to see “behind the scenes” of a very successful blog – it gives you something you can emulate and see in front of you how to put all the techniques together. I think you can still make money online from blogging even when starting today. There is plenty of opportunities providing you are prepared to work for it and you put your visitors first. Someone starting today could become the next big thing in 1 to 3 years or so.